The Elo TouchSystems 1000 Series 1715L 17" LCD Touchscreen Monitor is designed, developed and built to provide a cost-effective touch solution for system integrators, and VARs. 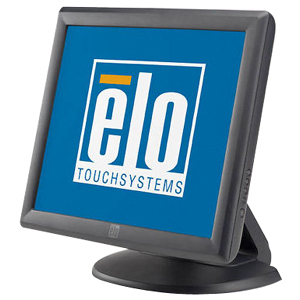 It packs Elo’s quality and reliability into an integrated, affordable touchmonitor. This new cost- and space-saving touchmonitor is “designed for touch”—the technology is built into the 1715L from the ground up and not added as an afterthought by altering the original monitor. It includes a stable base, controls that are placed on the side rather than the front and are locked-out for public use. Power Supply Not Included. Product Description: Elo 1000 Series 1715L, LCD display, TFT, 17"